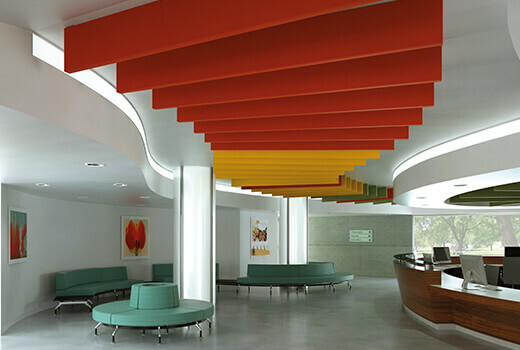 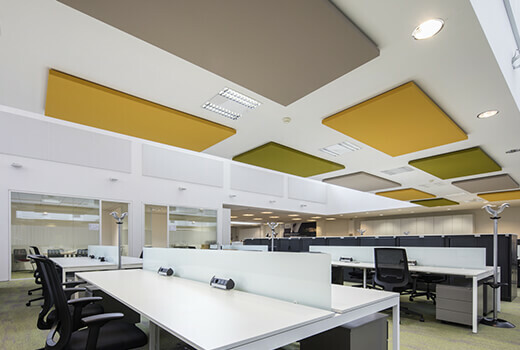 Silente is a single-sided removable sound-absorbing panel upholstered in fabric, which can be installed on the wall or on the ceiling with special tracks. 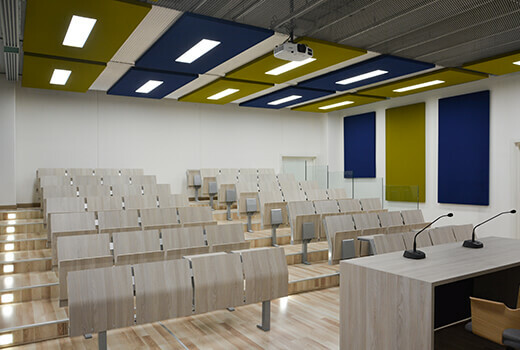 This complete, highly innovative solution can be adapted to a wide variety of settings, including office areas, conference halls, restaurants, theatres and teaching and recreational areas. 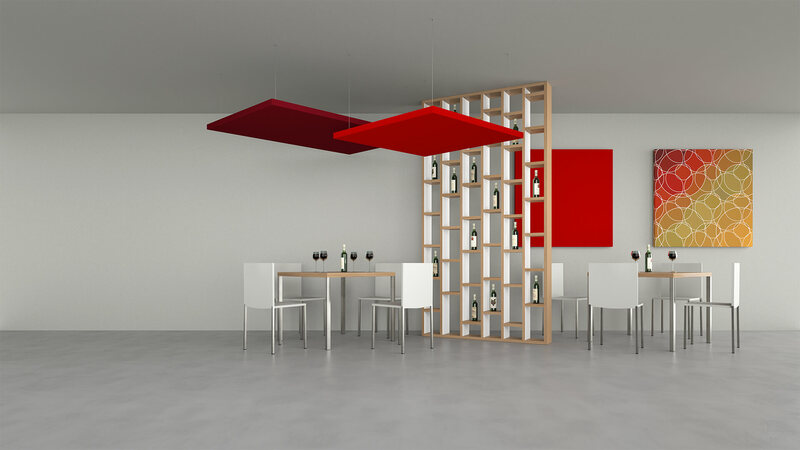 As well as the versions for fixing to walls and ceilings, there is also a version that can be suspended from the ceiling, using adjustable cables that offer greater flexibility during installation. 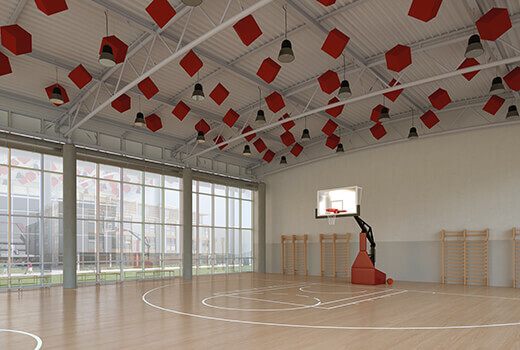 A range of different configuration options are available, and the panels can be installed at different heights and with various alignments. 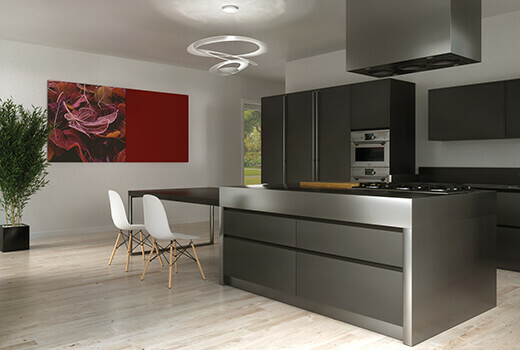 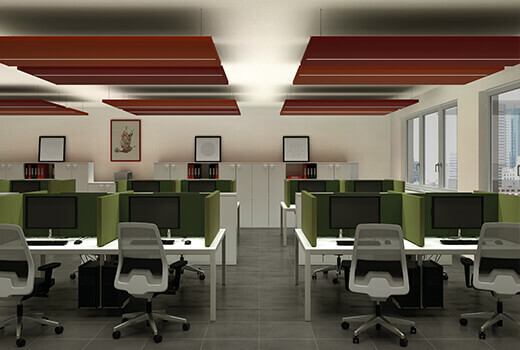 The panels can also be fitted with LED lighting, designed for seamless integration into the sound-absorbing system. 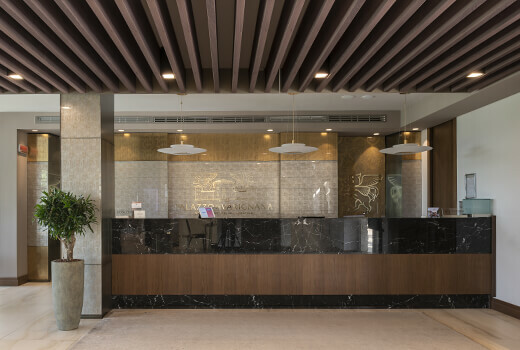 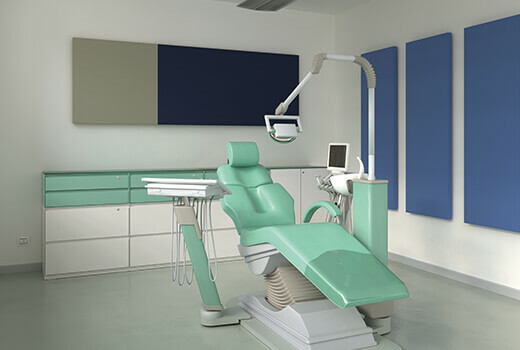 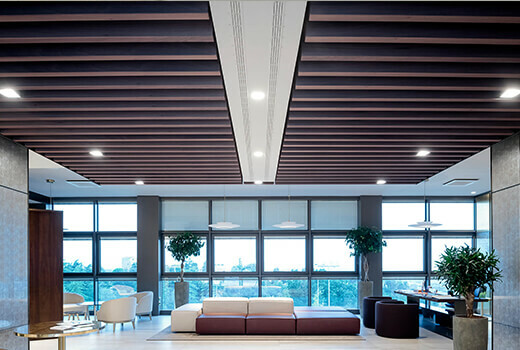 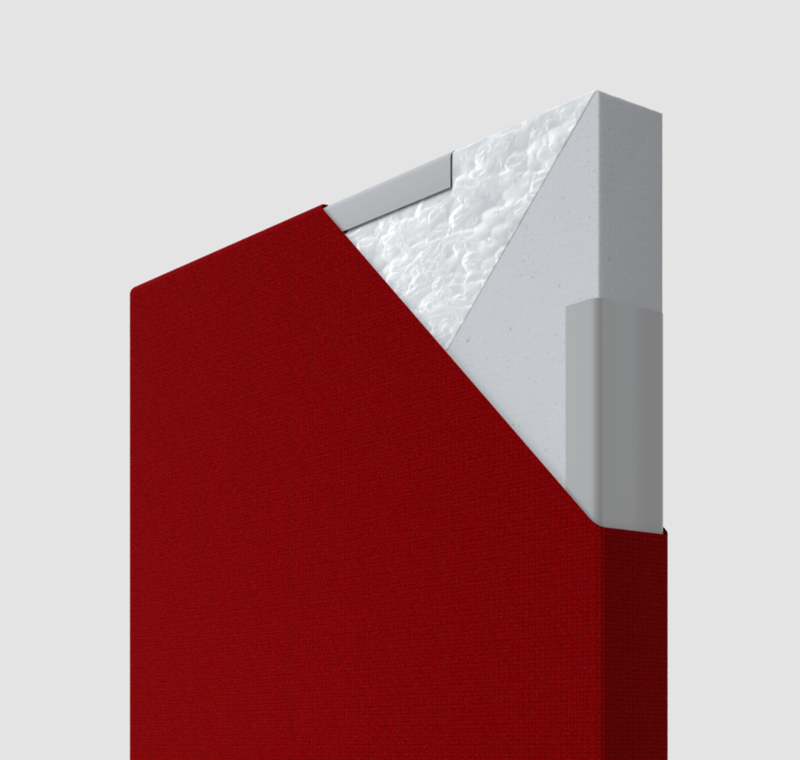 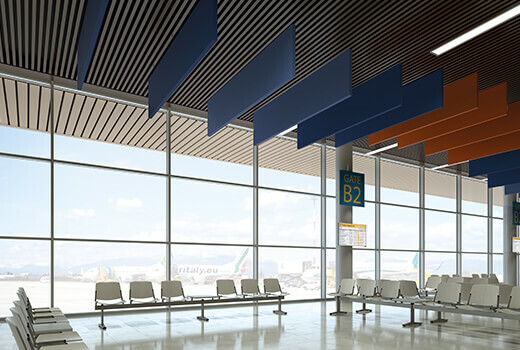 Efficient acoustic absorption, duration, safety: the Silente sound-absorbing panels have been devised and designed to guarantee optimal sound absorption, thanks to materials chosen with particular care. 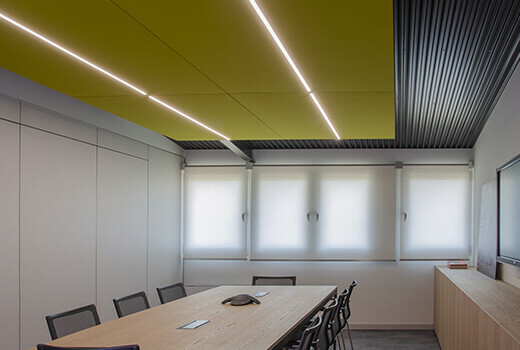 The integration of modern LED lighting systems into sound-absorbing panels is a highly interesting specification on the market which Caruso Acoustic has been able to achieve. 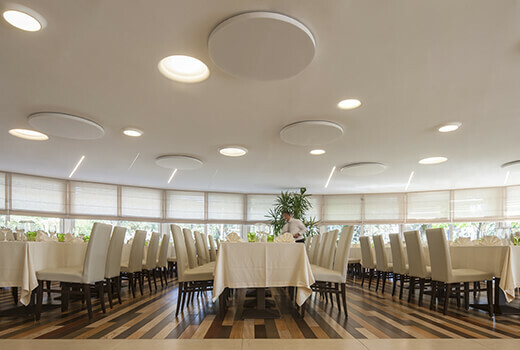 Guaranteeing the correct light output through lighting technology calculations means meeting customers’ needs and offering them effective applications based on different power and angle parameters for the beam of light. 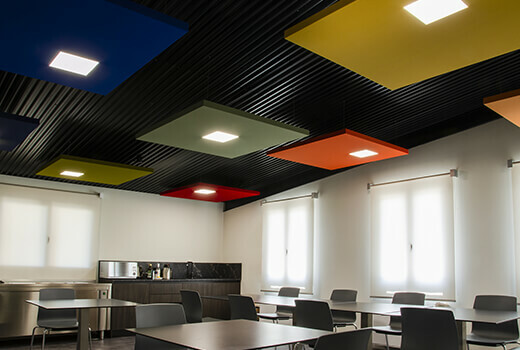 Below are the LED lighting systems available for the Silente panel.